This legislation can help a homeowner avoid what happens in a foreclosure. The American Housing Rescue and Foreclosure Prevention Act was signed into law in July 2008 to help middle class Americans who were facing potential foreclosures due to problems in the mortgage industry. The law modernizes the Federal Housing Administration (FHA), reforms Fannie Mae, Freddie Mac and the Federal Home Loan Banks while providing new policies to stabilize the housing finance market. The American Housing Rescue and Foreclosure Prevention Act was a combination of bills which were designed to help homeowners facing foreclosure due to rising interest rates on their adjustable rate mortgages. The Act also reformed the private and government mortgage lending market and provides regulations for ongoing oversight of the mortgage market. Help at least 400,000 homeowners facing foreclosure to keep their homes by refinancing their high interest loan into a more affordable mortgage loan. Help communities deal with the falling home values and blight caused by empty homes in foreclosure by providing funds communities can use to purchase, clean up and resell abandoned homes. Help active duty personnel, veterans and returning soldiers to purchase homes by increasing the Veteran's Administration home loan limit, providing a one-year relief from interest rate increases and delaying foreclosure proceedings. Help seniors pull equity from their homes through FHA-sponsored reverse mortgages. Modernize the FHA and the Government Sponsored Enterprises (GSEs) of Fannie Mae, Freddie Mac and the Federal Home Loan Banks with new programs to provide affordable mortgages for families and seniors. Provide tax incentives to new home purchasers to first-time homebuyers, non-itemizers and low-income home buyers. Provide pre-foreclosure counseling and legal assistance to help homeowners who are facing foreclosure. Provide funds to increase the amount of rental housing for low income people. Strengthen regulation and oversight of the mortgage lending industry. Establish an independent regulator to be in charge of the FHA and the GSEs. Moderately-priced homes - New loans can be offered by the GSEs for up to 115 percent of the median home price for the area in which the home is located. High cost areas - GSE loan limits were raised from $417,000 to $625,500. 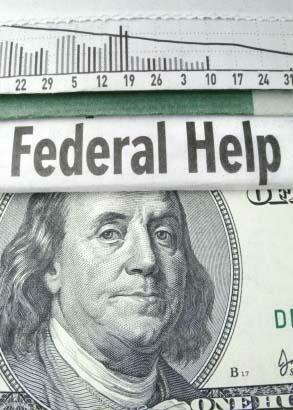 Require lenders to reduce the loan principals on current high-priced loans. Require homebuyers to share any profits they may receive if they eventually sell their home after they have refinanced the home using a new, lower-cost government-insured mortgage. Require mortgage lenders and homebuyers to take responsibility to only enter into mortgage loans that can be repaid by the homebuyer based on their income. If you are facing foreclosure, talk to your lender about how the provisions of the American Housing Rescue and Foreclosure Prevention Act might be able to assist you. Your lender can explain the details of the Act and help you determine if you are eligible for the new government-sponsored mortgage loan and refinancing programs.